This is the eBundle version (trade paperback + eBook download code) of this title. Includes download instructions for ATC Career Prep Software Suite. 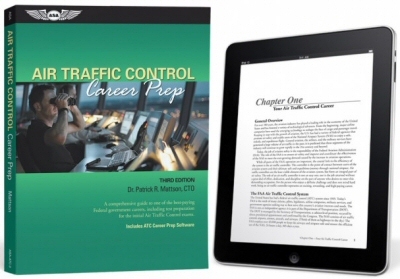 This third edition of Air Traffic Control Career Prep is a comprehensive guide to one of the best-paying Federal government careers, including the test preparation for the initial Air Traffic Control exams. Also included in this book are instructions on how to access the ATC Career Prep Software Suite so you can become familiar with and practice the 8 tests in the AT-SAT exam.